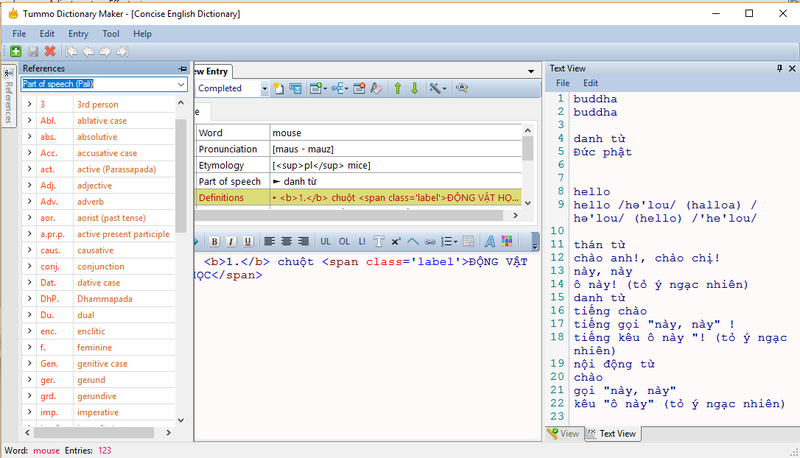 Tummo Dictionary Maker (TDM) is a dictionary writing system (DWS), or dictionary production system (DPS). 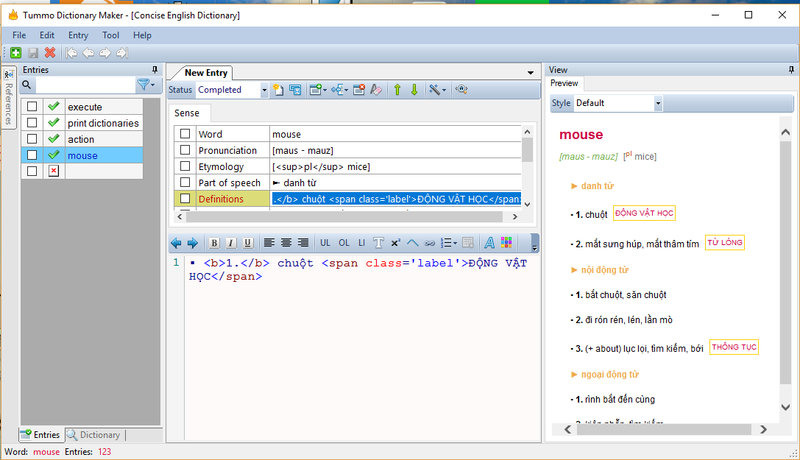 It 's using writing and producing a dictionary, glossary, vocabulary, thesaurus etc. TDM include an editor, a database, and various management tools. TDM support Multi-Dictionary Formatter (MDF). Help to easy make formatting and printing dictionaries, and making a reversed index relatively painless. One of the most powerful tools in TDM is building XML Dictionary eXchange Format. With universal XML-based format, convertible from and to other popular formats like Mova, PtkDic, StarDict.